It’s easy to throw away money by making excuses that make it sound reasonable. It’s even easier to not realize that you’re wasting money until it’s too late and you’re in financial trouble. 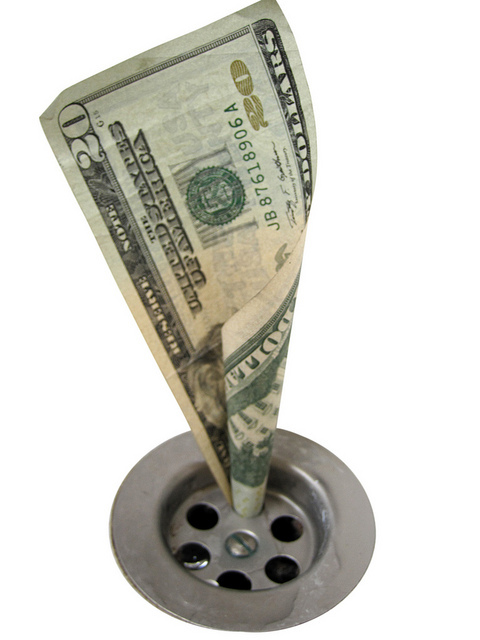 This article outlines 4 ways that you may be throwing away your heard-earned money. The buy now pay later option may seem like the way to go, but it’s really enabling you to spend more money. This kind of payment plan is tempting because you don’t have to begin paying right away. What many people fail to understand is that if you wait until the promotion period is over, you will begin incurring interest fees right away. If you can’t afford to pay for the item you’re buying right now in full, you shouldn’t be buying it at all. You certainly won’t be able to afford the added interest later on. If you love something and find use for it in your everyday life, that doesn’t make it an investment. An investment is something that gains value over time. It might make you feel better to call the new flat screen TV or tablet an investment, but that’s not what they are. If you trick yourself into believing these items are true investments, you might be buying more of them than you really need to. Even if you make slightly more than your friends and relatives, you can’t pick up the tab for every meal you share with them. It might make you feel great at the time, but not only will it cost you lots of money over time, but people will get used to you paying and begin expecting it rather than being grateful when you do. If you own a business, work from home, go to school, or may be entitled to tax credits for the line of work you’re in, it’s important to find out for sure and claim all you can. If you need an expert to help you, have someone else prepare your taxes. Make sure that you save all receipts even if you’re not sure they’ll be needed. If you don’t claim deductions, you are letting money slip through your fingers. Take advantage of all money-saving opportunities you can. Chances are you are throwing away money in at least one way you’ve never considered before. If none of the above signs apply to you, look at other things you’re doing with your finances to see if you’re throwing money away elsewhere. Even buying a five dollar coffee every morning can really add up.